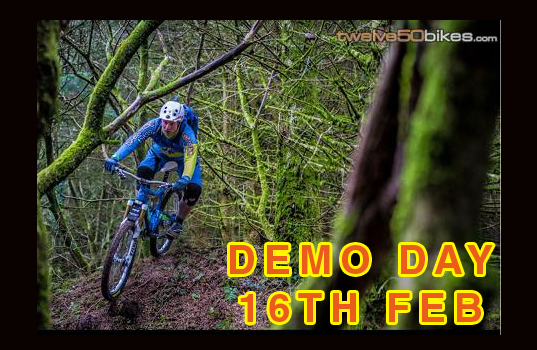 Here's a date for your diary, our Mountain Bike demo day will be held on Sunday 16th Feb at Roman Lakes leisure park. We have test bikes from Lapierre, Nukeproof, CUBE UK and Orange Mountain Bikes, so it should be an amazing day. The change of venue will allow us to have a more challenging test loop too, with longer climbs and descents. The day will be strictly by appointment only and places will be limited, so if you are interested just drop us a line at info@twelve50bikes.com or call the shop on 01928 898011.